AARP North Carolina is leading positive social change through information, programs and advocacy on behalf of 1.1 million members in the state. AARP strives to make life better for all ages by improving people’s health, wealth and personal fulfillment. 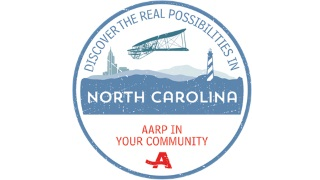 AARP provides local programs to members across the state with staff in Charlotte, the Triangle, Wilmington and the Coast, the Triad and the Mountain region. Learn more about the work of AARP and events near you by visiting www.aarp.org/nc.